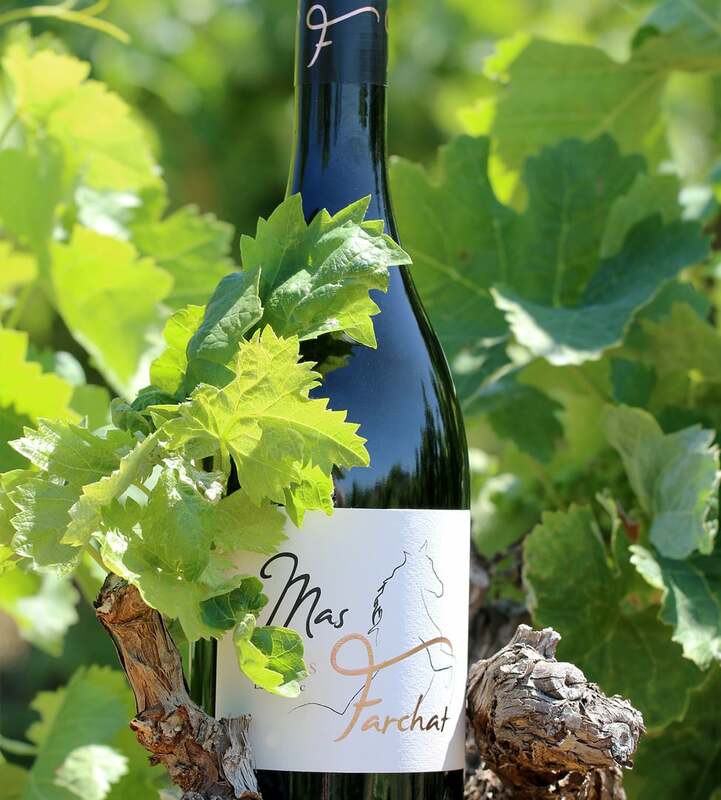 The vintage Genesis is the first bottling of Mas Farchat young winery located in Gabian, accompanied for the vinification and assemblies by the law oenology Natoli & Coe. Genèse is a 2500 vintage bottles. 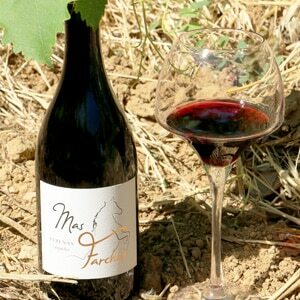 It is an assembly of Syrah (75%) and Grenache (25%) from vines aged from 25 to 30 years. Yield of 25 hectoliters per hectare, manual picking at optimum maturity with sorting grapes. Stalking and maceration of 15 days with a controlled temperature between 28 ° and 30 ° C. Syrah and Grenache are matured separately for 6 months. The assembly is then carried out and then followed by breeding tanks 3 years. Sustained color garnet hue. The nose is shining on the fresh gooseberry and currant. 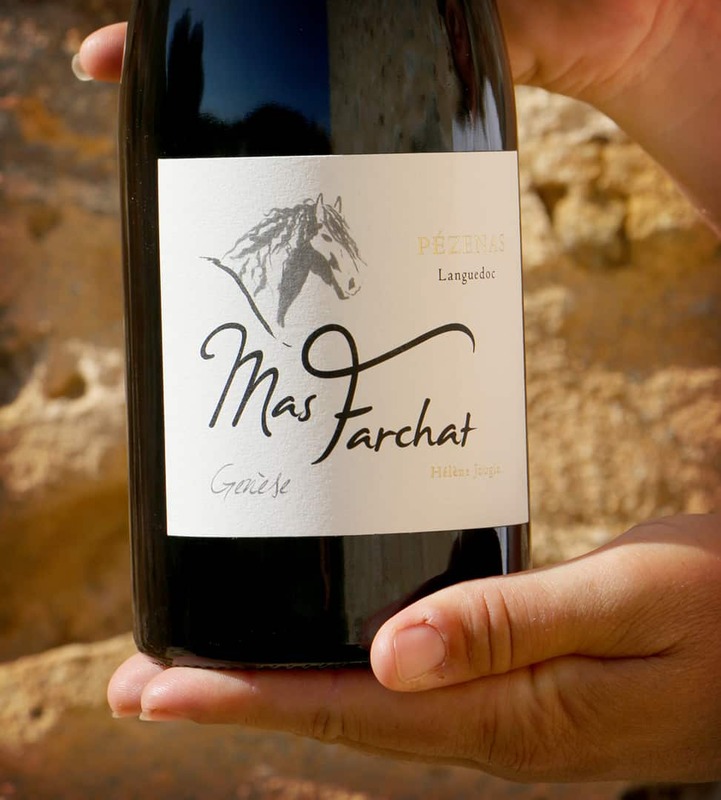 The notes of garrigue (rosemary, cistus) provide a nice complexity to this wine. On the blackberry jam, nutmeg and rosemary, the mouth is silky, round and fleshy. Spicy and fresh, the finish is long and harmonious. Savour the cuvée Genesis with a rack of lamb with thyme, spices and a tagine with prunes or a bull gardianne. Decanted one hour before serving, it will release all its aromas. Idéale entre 15° à 16° C.
Le Mas Farchat 2013 est une cuvée de 1300 bouteilles. C’est un assemblage de syrah (70%) et de grenache (30%). The yield is 30 hl per hectare, hand picking and sorting grapes. Stalking and maceration for four days with a temperature maintained between 20 and 25 ° C for the Syrah, maceration 15 days for the Grenache with a controlled temperature between 26 and 28 ° C. Syrah and Grenache are matured separately for 6 months. The assembly is then performed for the bottling and put on sale after rearing year. Beautiful bright fuchsia dress with highlights. On the nose, spicy notes of black pepper, cinnamon and a hint of smoke alongside berries and freshness of eucalyptus. In the mouth it is soft then evolves into a registry tart currant jelly and licorice stick with a refreshing finish. 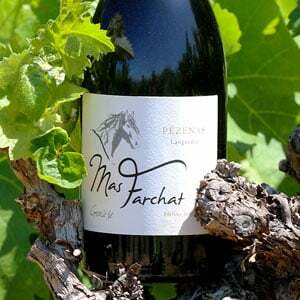 This wine will accompany grilled meats or spicy dishes as Basque chicken or Indian cuisine. Ideally between 15 ° to 16 ° C. It is advisable to uncork it at least ½ hour before tasting.